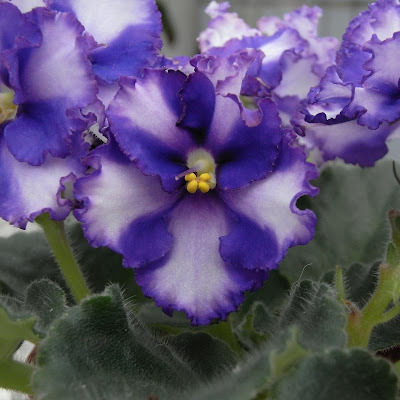 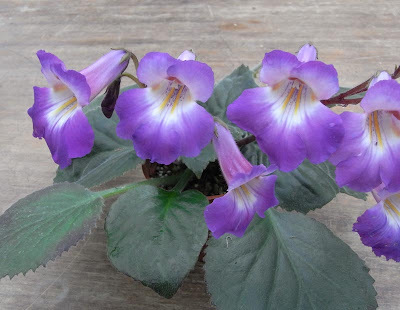 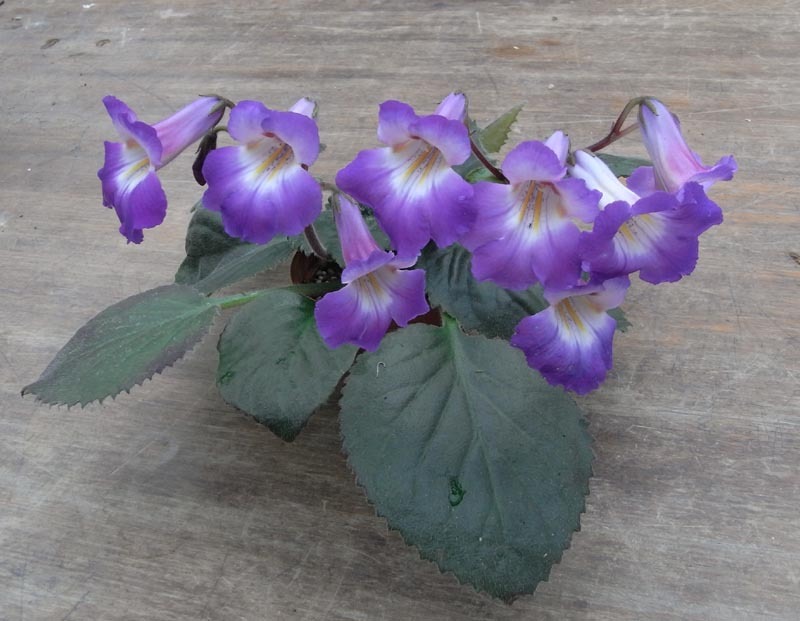 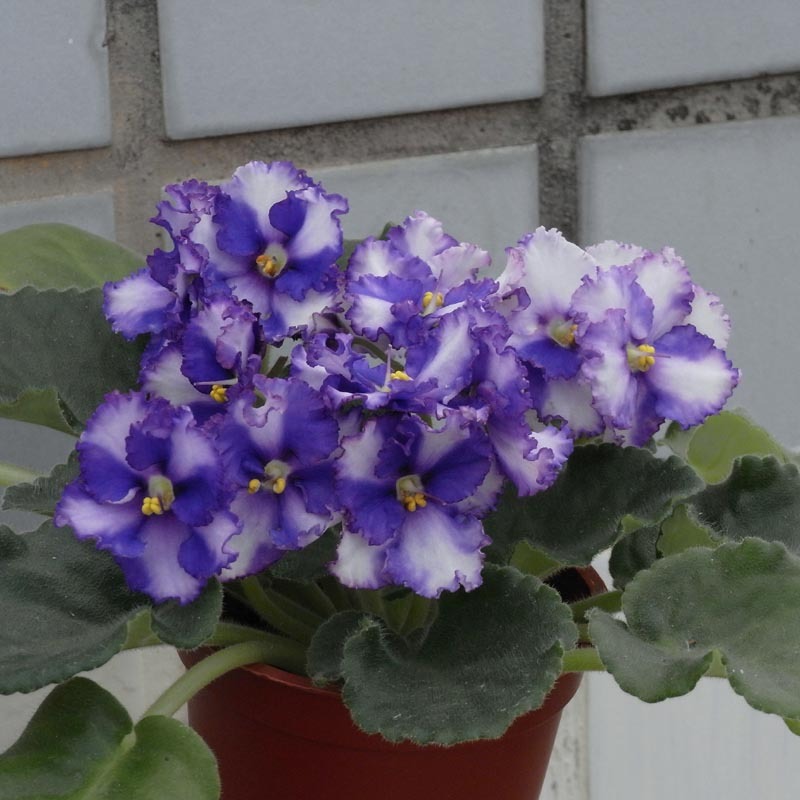 A frilled violet, it looks like chimera this time. Sometimes I get the interesting patterns with different color base, well ..... nice couple, aren't they ? Yes , the miniature sinningia keeps going ... my own hybrids. I took some pics of the show entries when I stood along the road waiting for my friend coming to pick them home. 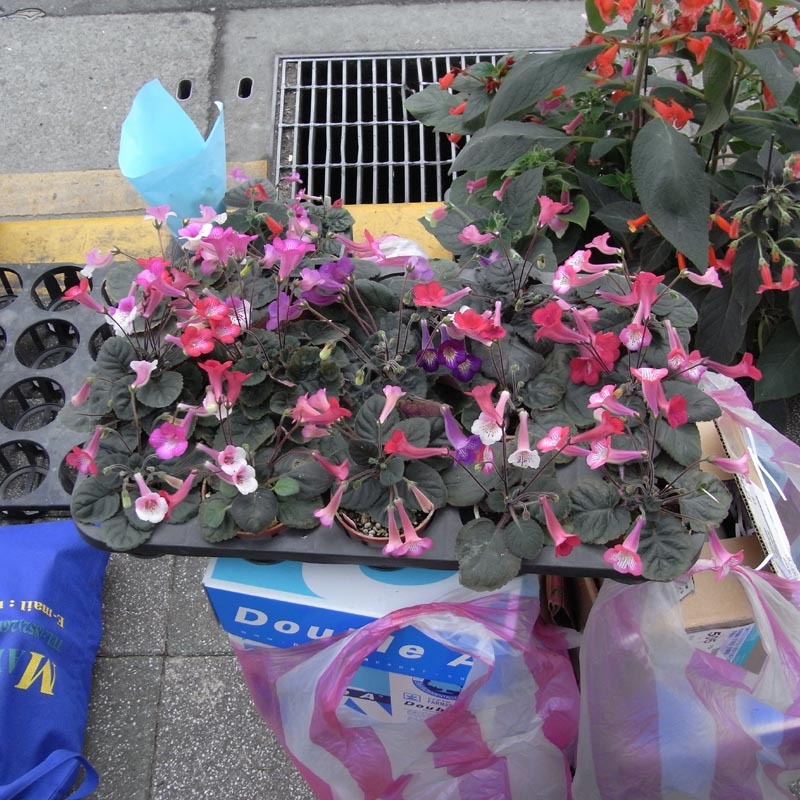 Some necessary treatment need to be done in order to revive the plants after 2 days show and the transportation. 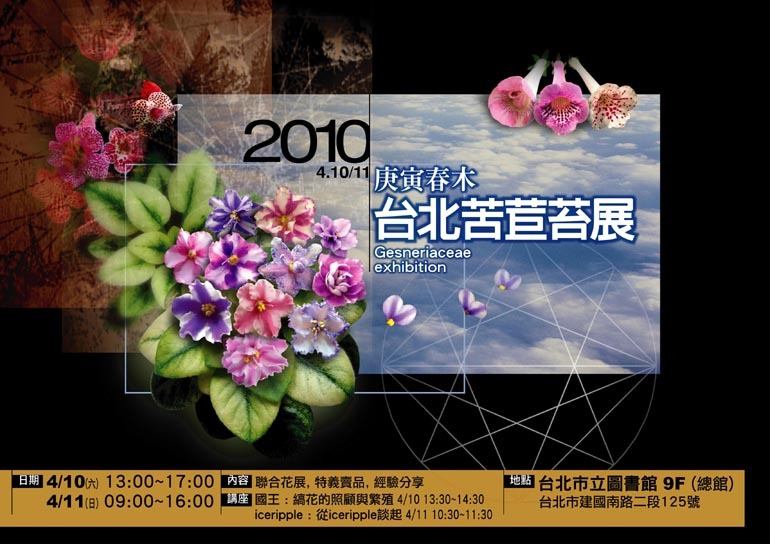 Hopefully I will be just a visitor in the next show if any. 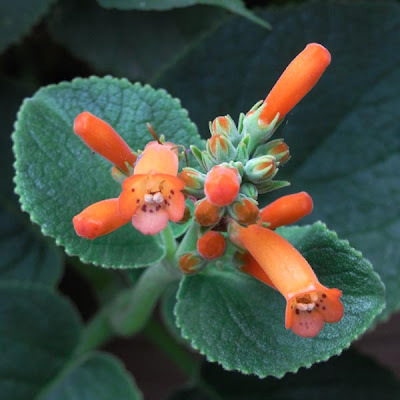 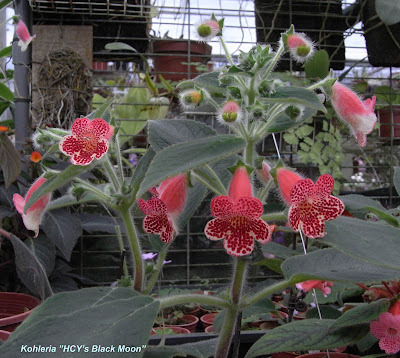 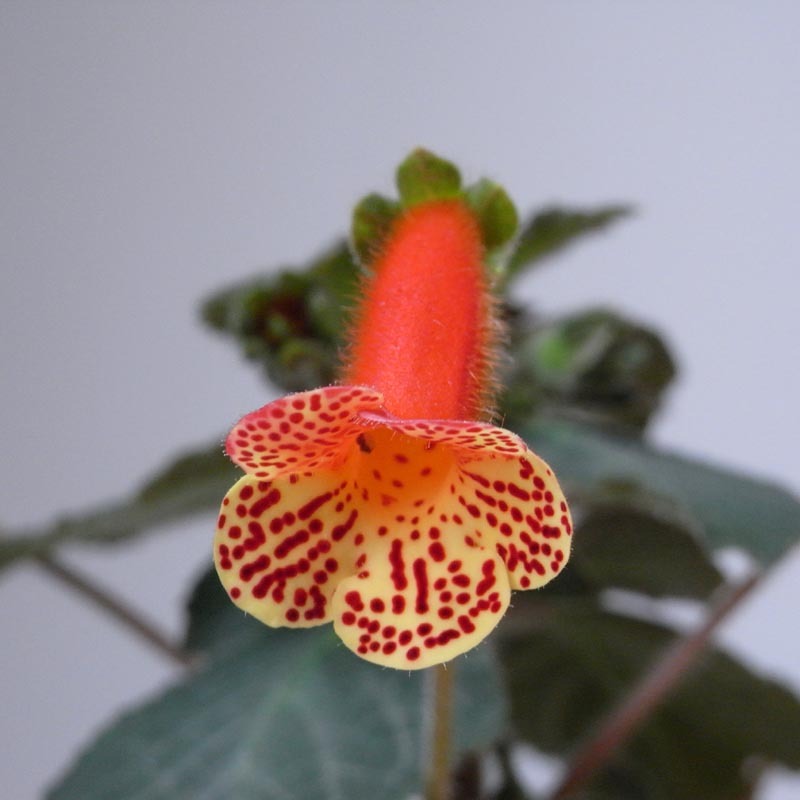 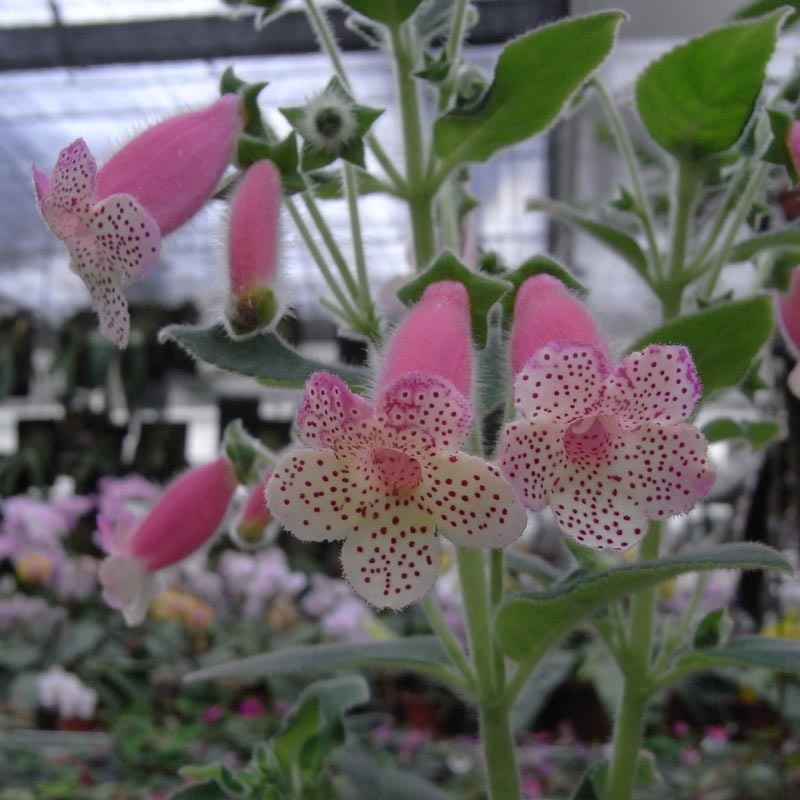 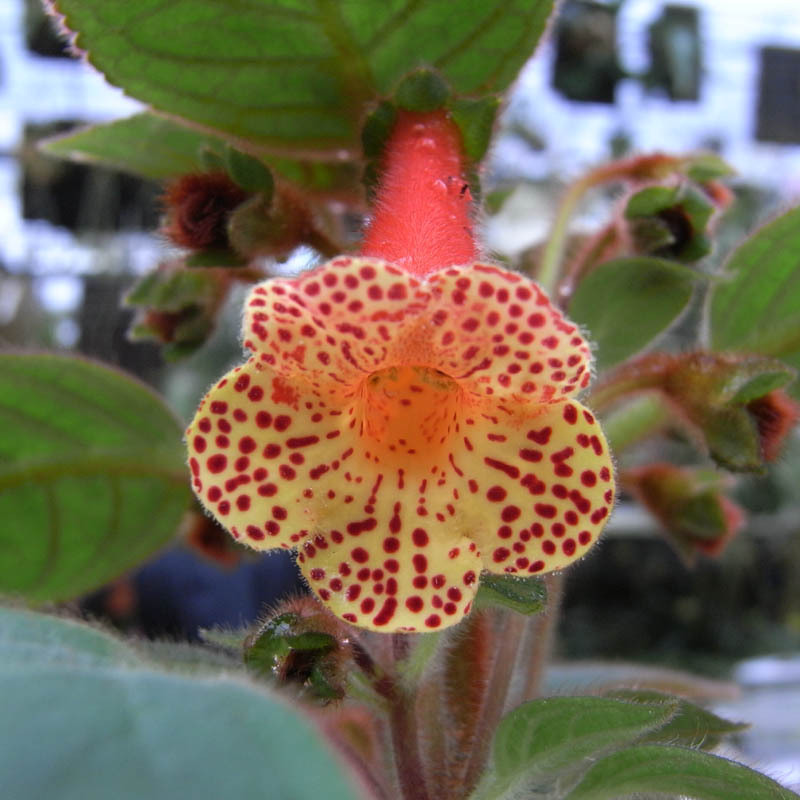 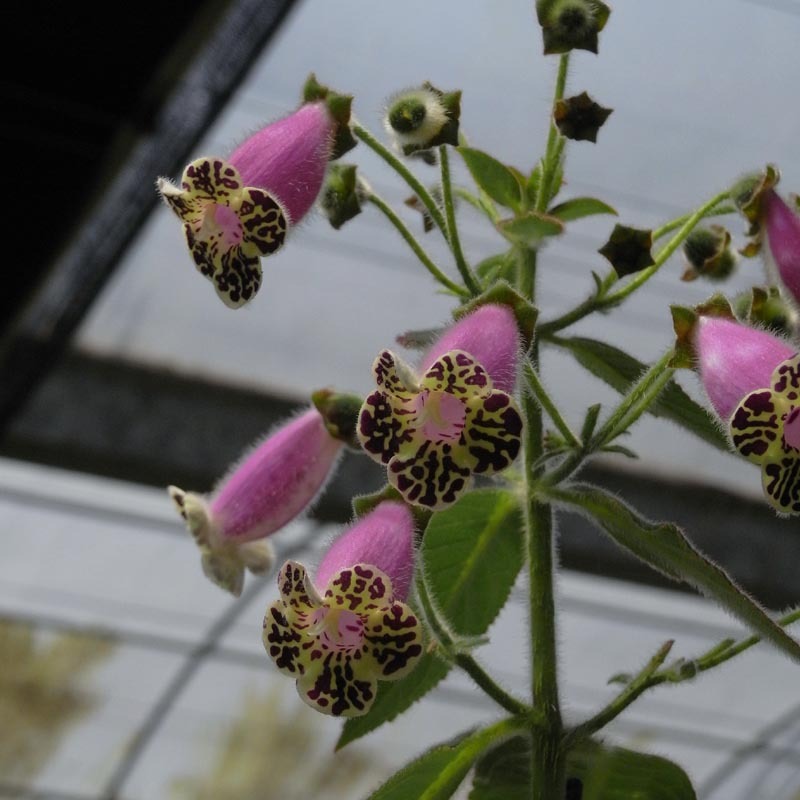 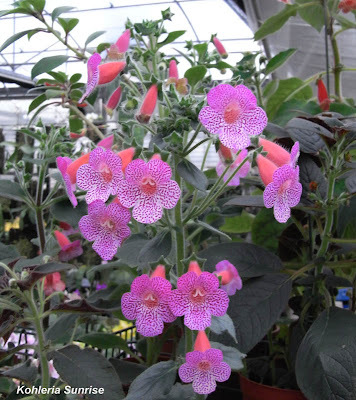 This new released Kohleria hybrid was called HCY's Black Moon according to its rounded petals and darker dots. 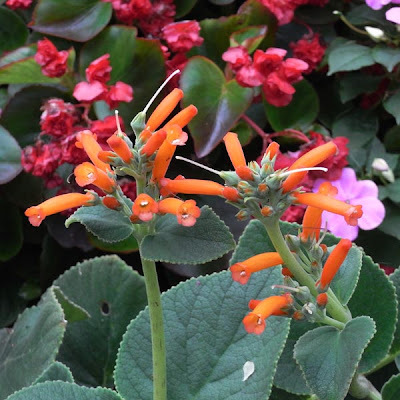 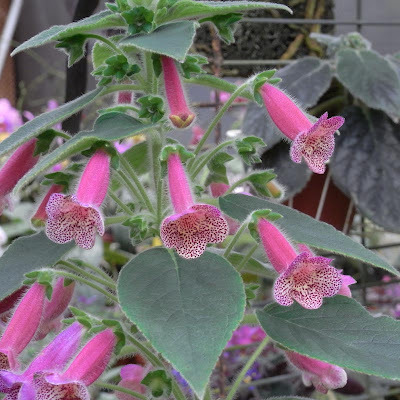 It's a neat plant with medium green foliage, q'ty of flowers is quite decent. 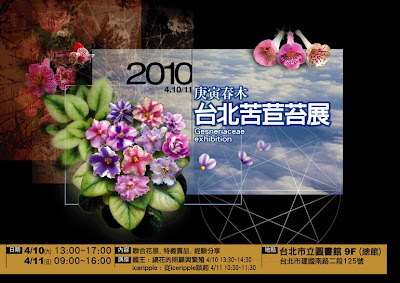 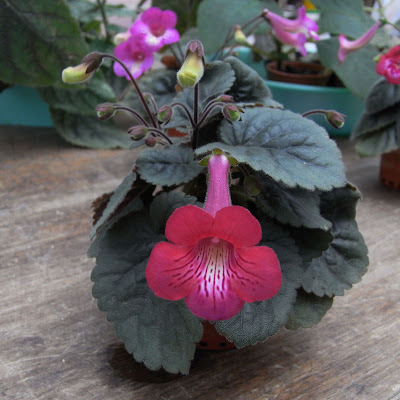 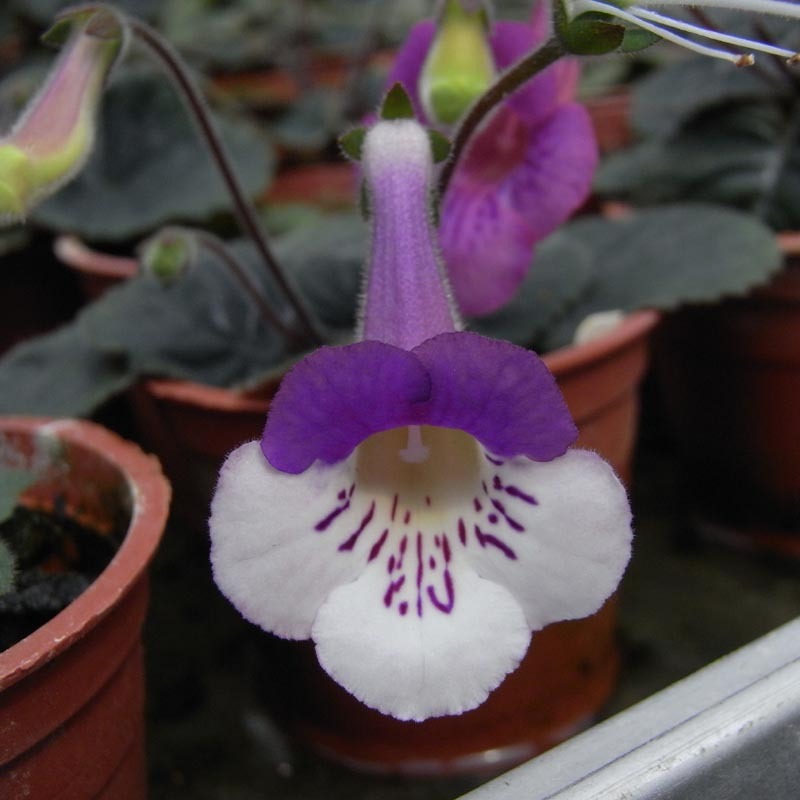 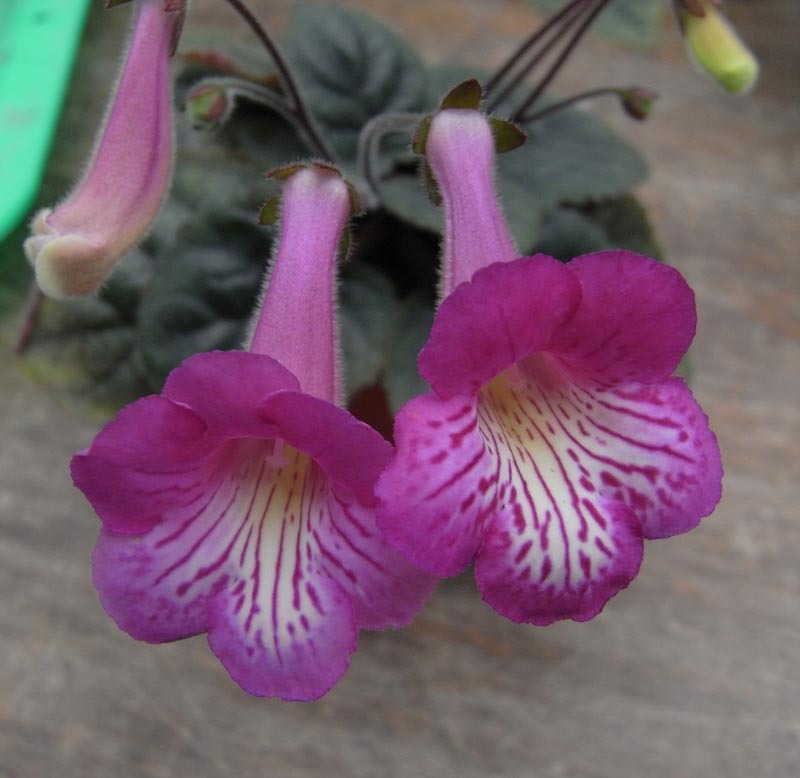 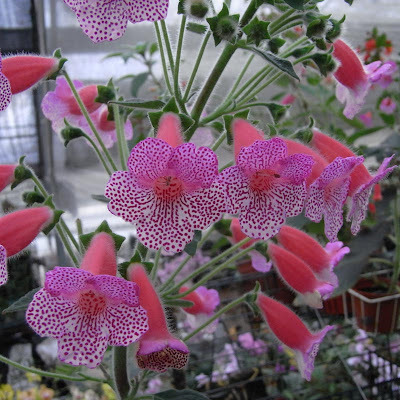 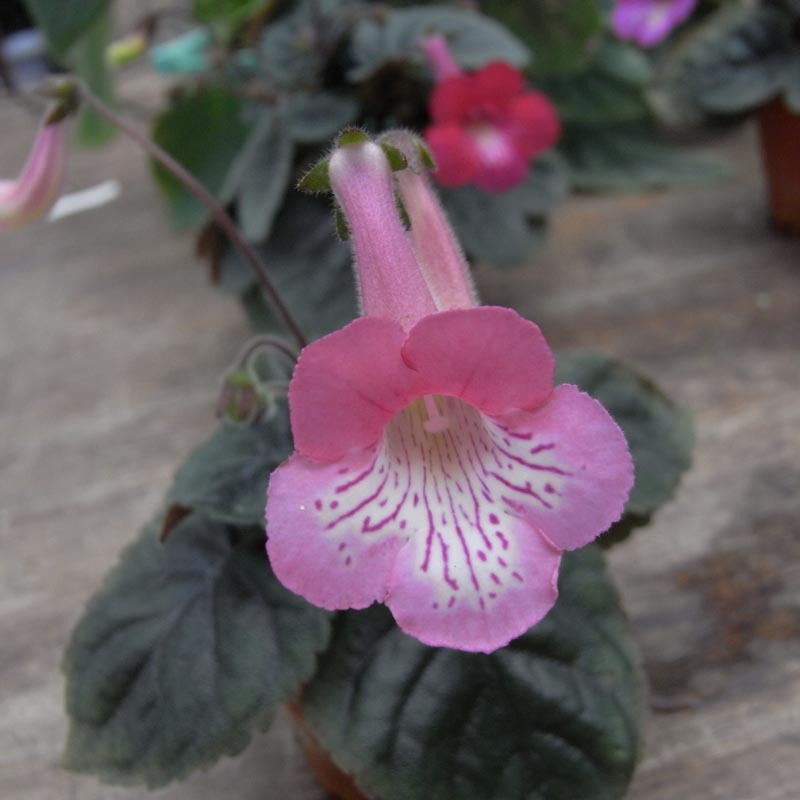 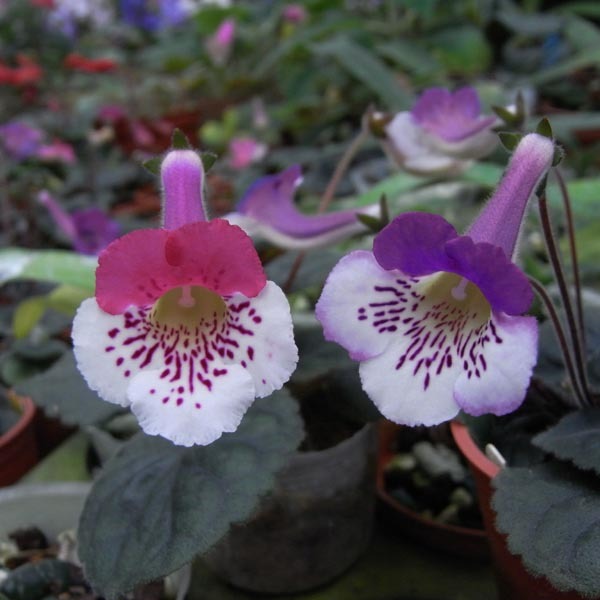 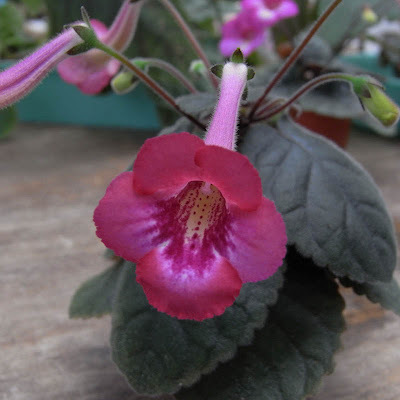 I attended the annual gesneriads show last weekend in Taipei, Taiwan. 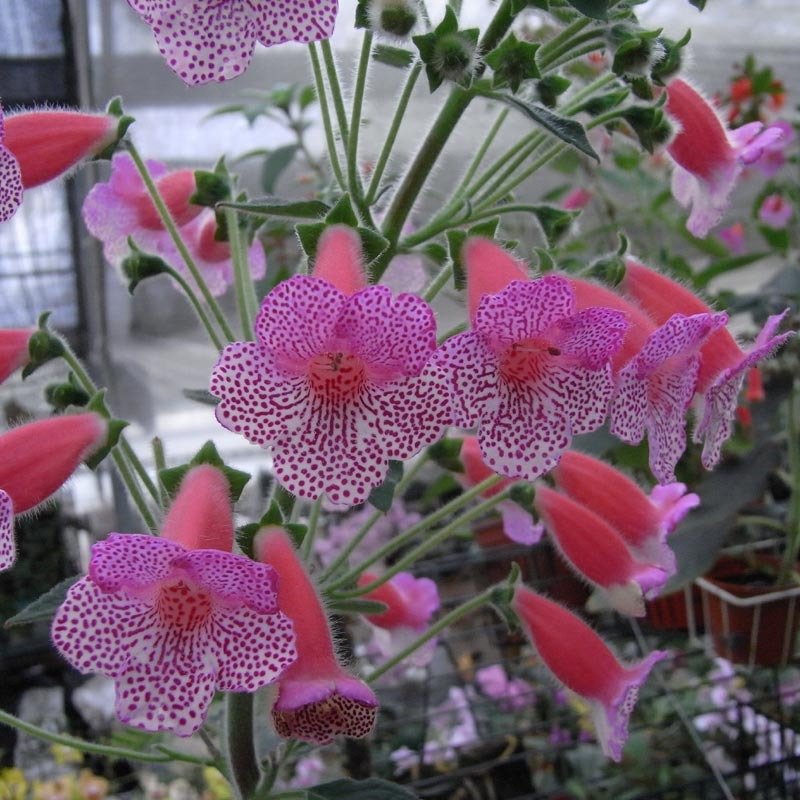 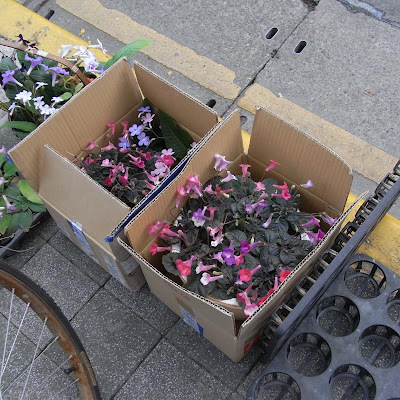 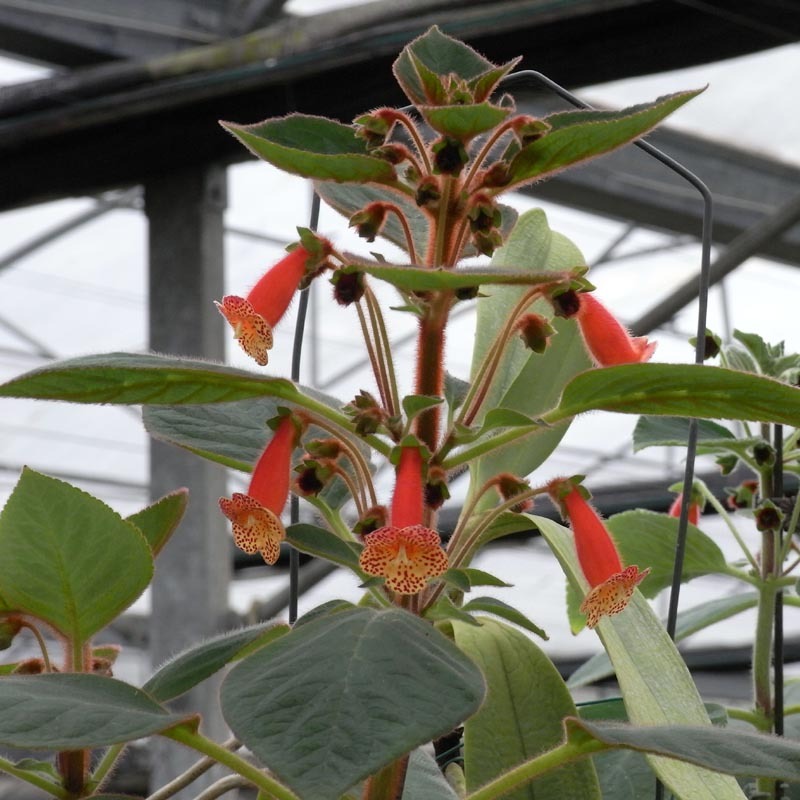 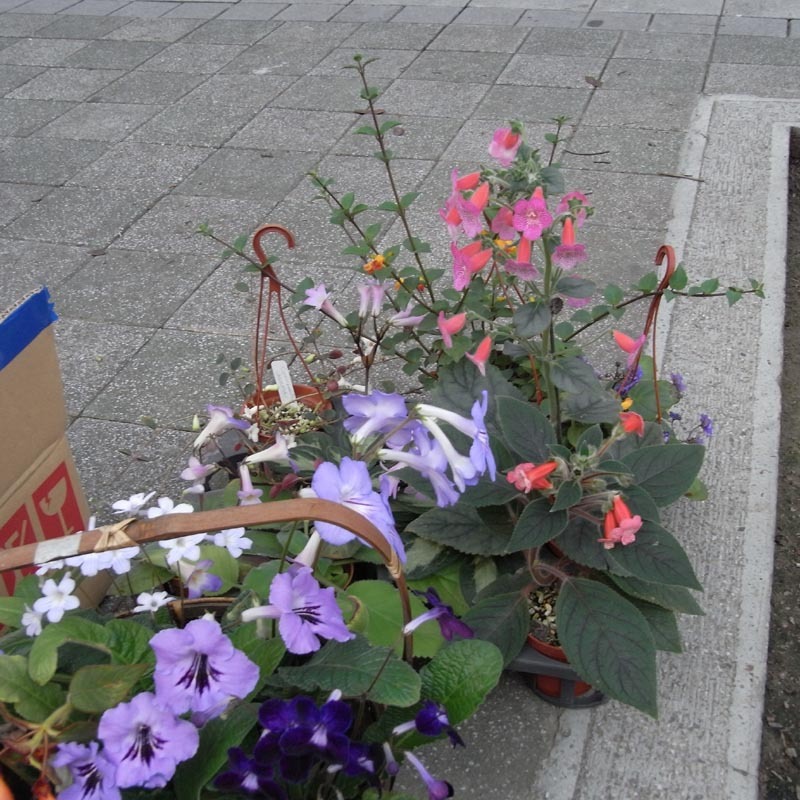 It was hosted by some local growers of various gesneriad plants but not really an organization. 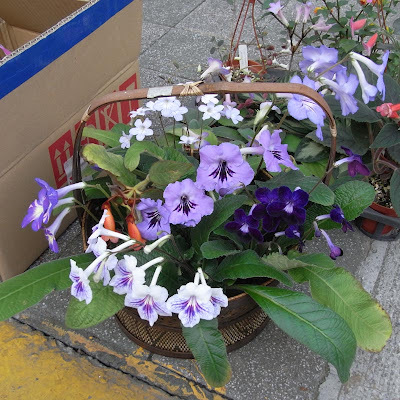 I have some video shots (avi format) of the entries that may show you guys what we grow here in Taiwan. I don't grow this Sinningia, but Rick (HCY) grows it for many years. Usually it blooms from spring to early summer. 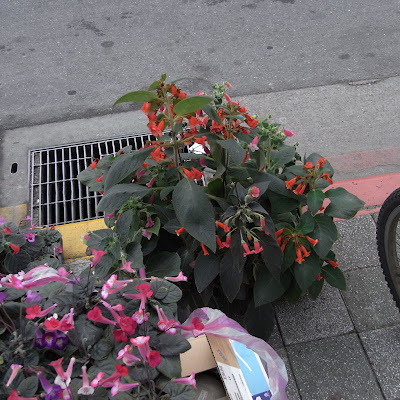 The small orange flowers are cute ! 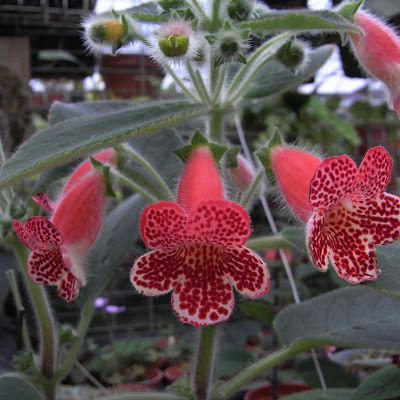 Just like I'm running a lottery with my own Kohleria seedlings. 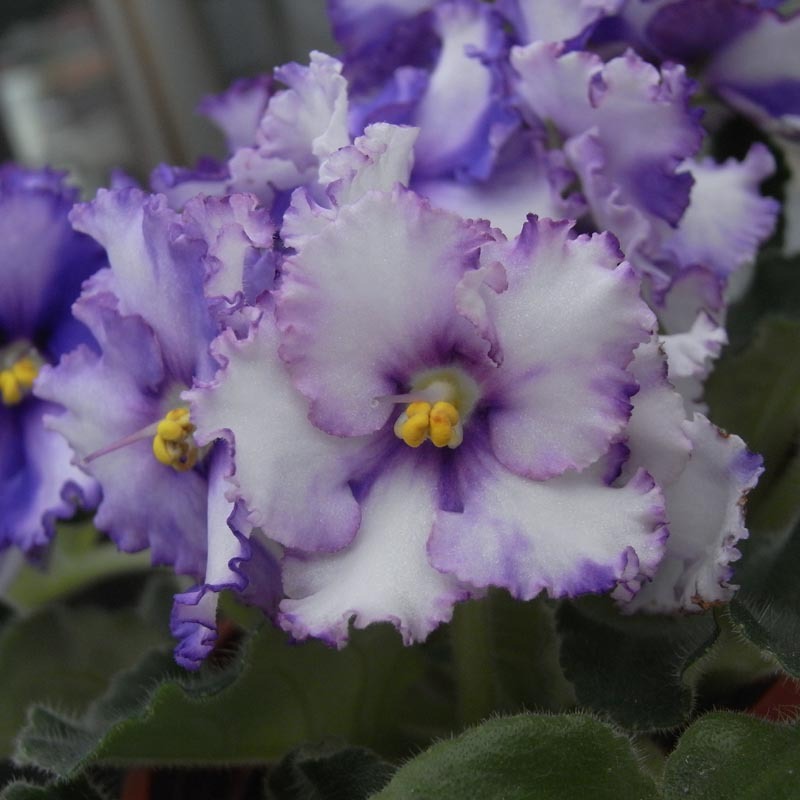 :-) I got 2 yellow faces recently, and I think they are cute. Will have to keep watching them during summer, maybe their patterns will change a bit. 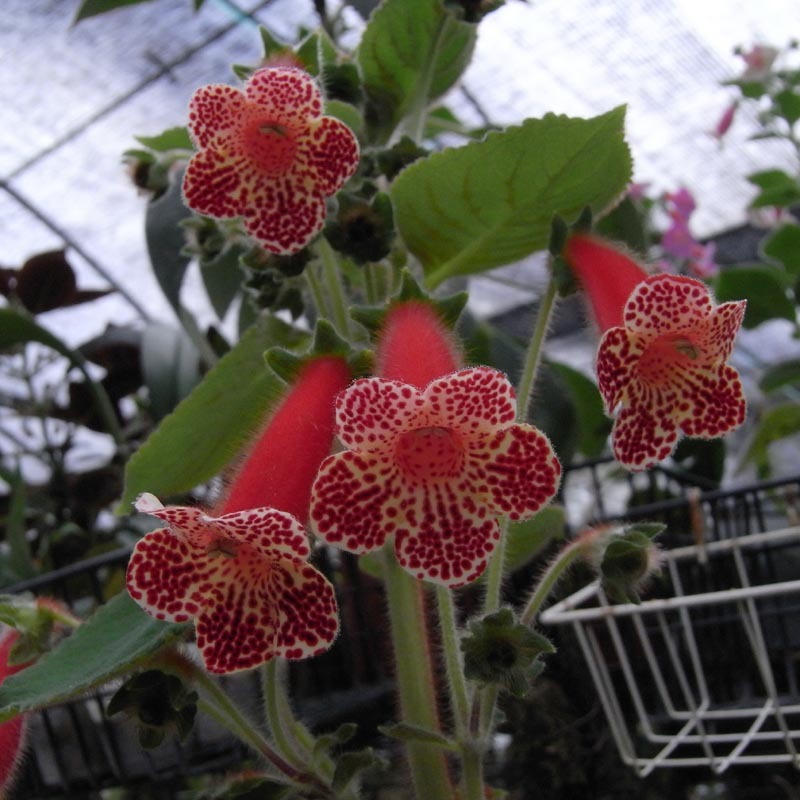 This is a huge / showy Chirita that can catch your eyes. 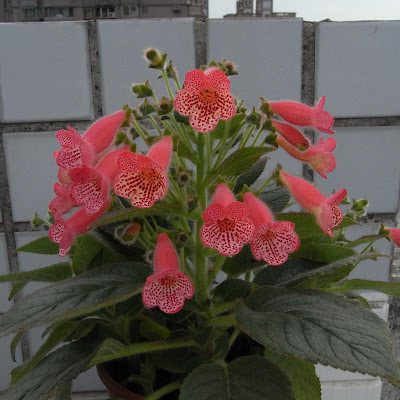 A large Chirita cultivar (C. fimbrisepala 'Wuhan' x C. subrhomboidea) of Mr. Okuto in Japan.